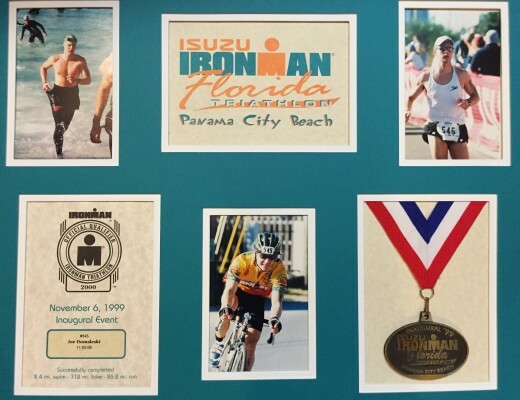 Do you have a favorite local race? 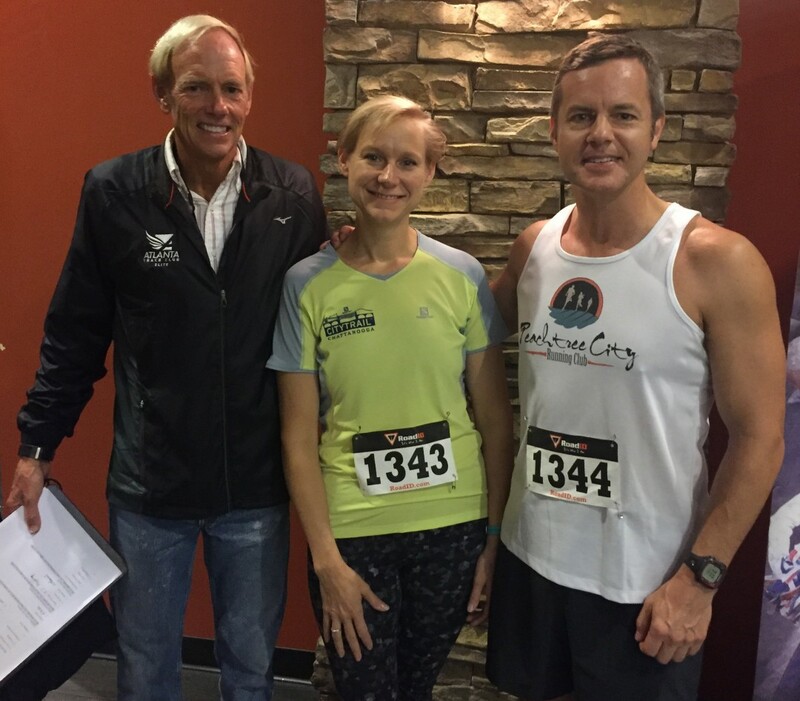 We have several, including our hometown 5K – the New Hope Harvest Classic 5K located just north of Fayetteville, GA. Here’s our 2015 New Hope Harvest Classic Race Report. Always held on the Saturday of the first full weekend in November, the Harvest Classic is a great little race close to home. 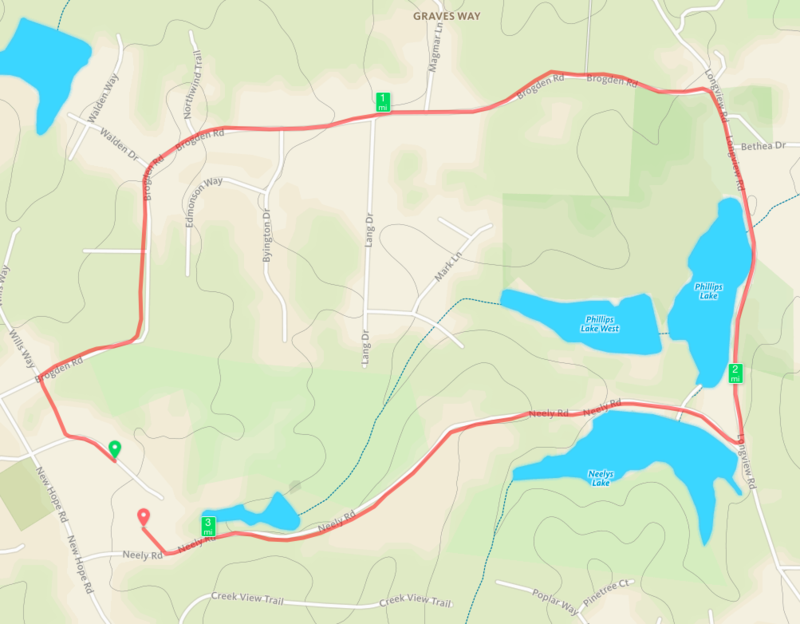 The course itself is along a scenic tree-lined route and is part of one of the top 50 runs listed in the Atlanta Running Guide. It’s a high-quality race that’s run on a certified 5K course as GA01024WC. All proceeds raised benefit HeartCry, New Hope’s Orphan Ministry, which serves vulnerable and orphaned children in the community, nation and around the world. There’s a pre-race dinner and silent auction the night before the race which is a real treat if you’ve never been. According to the race officials, this year (2015) all of the race weekend events combined helped generate $42,000 of proceeds to help fund a girl’s dormitory for an orphanage in Bihar, India. 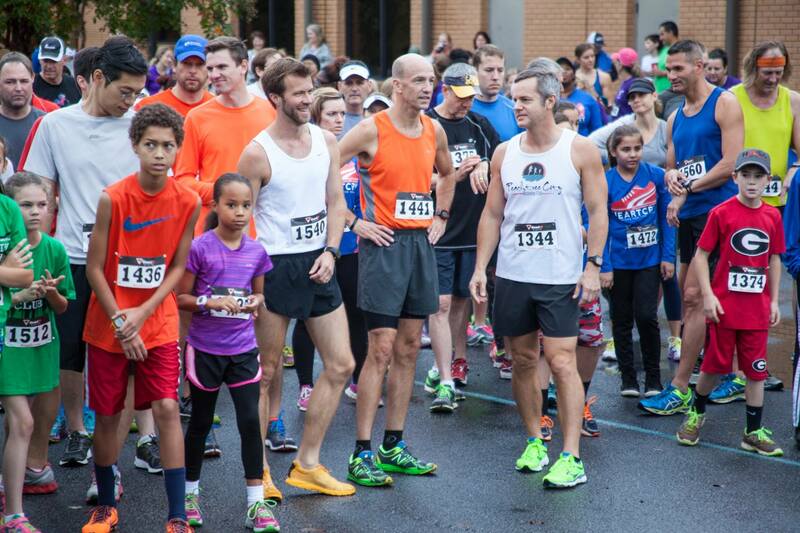 We like to participate in races that help such worthy causes. Although we could go on about the ministry, we’re going to focus our report on the race itself. 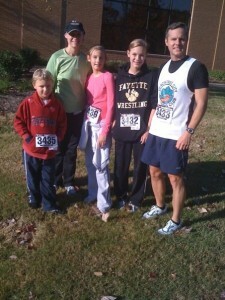 A flashback to the 2009 Harvest Classic when our kids were much younger. 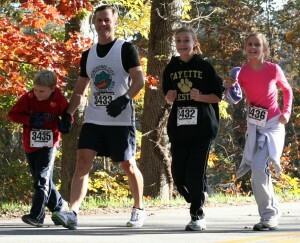 Now in it’s fifteenth year (as of 2015), we’ve run this race with our family over the years when the kids were younger. During the early years of the race, there were around 100 runners. The race now attracts between 250-300 runners. We’ve been told there were 284 runners this year (2015). It’s very family friendly with plenty to offer for young and old kids alike. 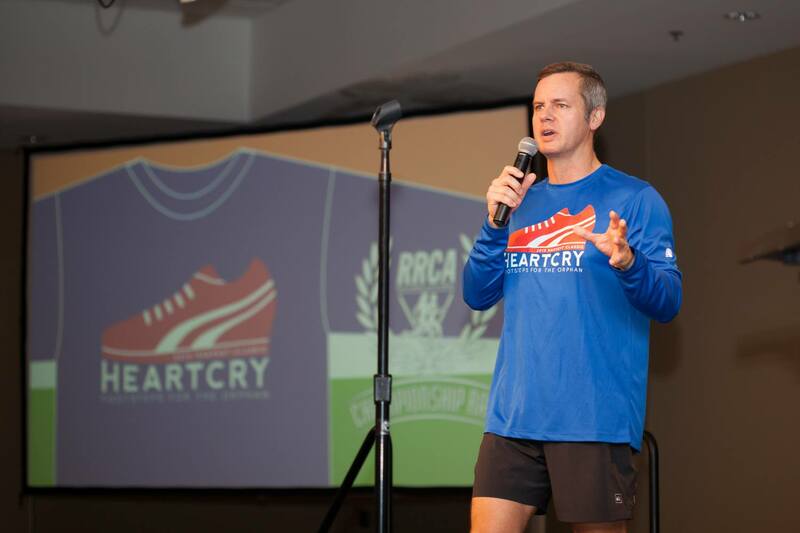 Race registration is usually held in the gym and features a high-quality race shirt as part of your entry fee. If you have younger children, know that the race is stroller-friendly. There’s also a kid’s fun run held in conjunction with the race (7 years and under). 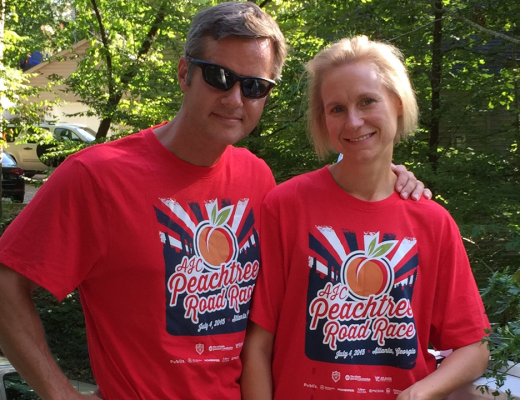 Not only do we both like to run this race, we also volunteer to help on race day. As part of her volunteer duties, Mary Catherine has been honored to help lead the group warm-up before the race. After the race, there’s lots for kids to do as well and usually the New Hope clowns are there – do you like clowns? The race starts in the parking area immediately behind the New Hope student center. It’s well marked and easy to follow with all right-hand turns. 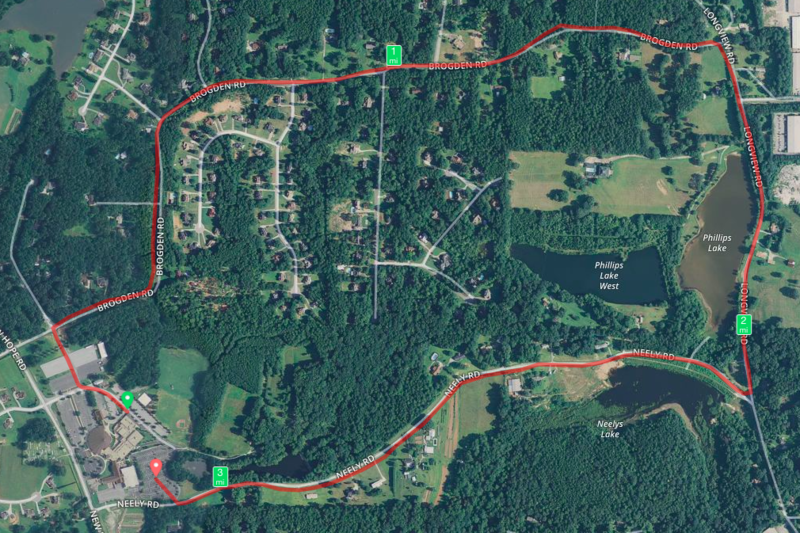 After a slight incline up to the main parking area, the course turns right at the old Chapel and heads out of the parking lot, where you’ll turn right again onto Brogden Road. Here, you’ll enjoy a fast downhill mile. Mile marker 1 is just past Martha’s Vineyard subdivision at Lang Drive on the right. You’ll continue to enjoy the downhill course for another mile. Not quite 1/2 mile later (approximately 1/2 way on the course), Brogden Road ends at the stop sign on Longview Road, where you’ll turn right. From here the course flattens a little, but it’s still downhill past Phillips Lake on the right. Unless you’re leading the race, you’ll have a good view of your fellow competitors ahead of you. It’s a fast 1/2 mile to mile marker 2. Mile 2 is just past the lowest point on the course. There’s a slight incline that takes you to the next right hand turn onto Neely Road. A steep downhill leads you behind the dam that impounds Neely’s Lake. Enjoy this final downhill section, you’ve got a mile to go and it’s mostly uphill! Dig in and remember you only have a mile to go. Near the top of the hill near the big oak tree and farm to the left know that you have just over a 1/2 mile left. The uphill flattens a bit, but it’s still an incline. As you approach the small feeder pond on the right, you’ll approach the mile 3 marker. You’ll hear the crowd at the finish line now. The final right turn takes you into the parking lot where you’ll see the finish line straight ahead. Race coordinator and local running legend Bob Dalton (pictured above with Mary Catherine and Joe) does a great job of announcing runner’s names as they cross the finish line. Once you’ve crossed that line, save your finishers card – you did it! Don’t forget to turn in that finisher’s card so you can be in the official results and be eligible for prizes. The Harvest Classic is known for it’s great post-race celebration held in the Rainbow Room inside the Church. There sheltered from the elements (you know how Atlanta can be in the fall), enjoy a free Chick-fil-A breakfast, bakery items, games for the kids, and door prizes. Yours truly (Joe) has been honored to serve as the post-race emcee for the past several years. The race attempts to have a speedy and accurate awards ceremony about an hour after the start of the race. Typical age group awards are given 3-deep in age group categories, as well as overall and master’s. Since 2012 the race has served as the Georgia state RRCA Championship 5K and additional awards are given. Even though we’re a little biased, I think you’ll find a lot to like about this family-friendly race. It’s a beautiful, well-marked course with plenty of parking and indoor bathroom facilities. The race has a wonderful indoor post-run celebration with lots of door prizes, free food, and generous prizes. Your race entry fee benefits a worthy cause – the HeartCry orphan ministry. Are there any negatives? Well sometimes the weather can be interesting (isn’t that always the case?) 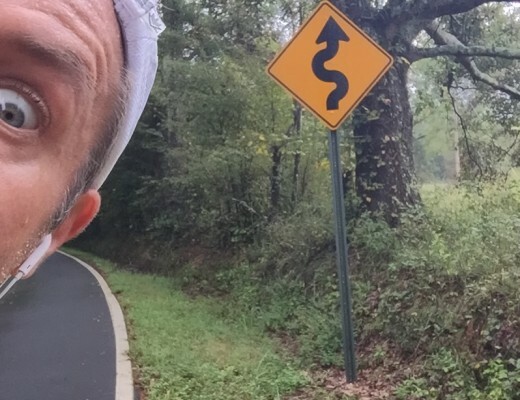 and if you don’t pace yourself properly, the hills in mile 3 can catch you off guard. 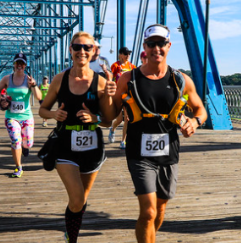 All-in-all this is a great local race you should consider adding to your fall race schedule if you live in the area. We hope to see you at the Harvest Classic 5K next year!